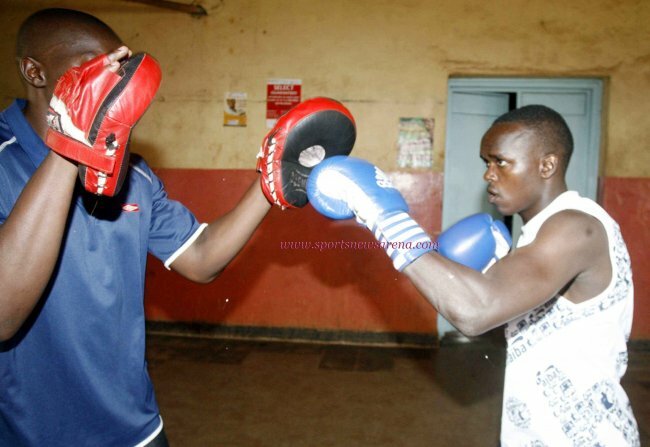 Kenya fielded only two boxers during the 2012 London Olympics but in a move geared to see that there is more representation in Brazil, the government and the Boxing Association of Kenya (BAK) have jumpstarted a programme geared towards qualifying more boxers to the 2016 Rio de Janeiro Olympics. Female boxer, Elizabeth Andiego and Benson Gicharu were the country’s representatives in London. The BAK league champions has proposed integrated residential training at the end of the year in the run up to the games. The selected boxers will be under a yet to be named coach from Kazakhstan. The roadmap to Brazil was laid down last weekend with a one week Referees and Judges training seminar held at Mombasa’s KPA Welfare Centre by the Department of Sports to equip the locals judges and referees with modern skills. The trained judges and referees sat for oral, written and practical exams at the end of the seminar and the participants will be graded by AIBA. The training, fully funded by the Kenya National Sports Institute, KNSI)saw 40 judges and referees from across the country equipped with newly introduced International Boxing Association (Aiba) rules. “We did not feel the country utilized its full potential by taking only two boxer to London (Olympics). We are hopeful that this training will equip these boxing officials with needed skills in their operations at the same time aid BAK towards identifying potential talents who will qualify for Brazil and ultimately win Kenya a medal. We are glad we started this early,” said Director KNSI, Joseph Kirima. BAK chairman, John Kameta while grateful and appreciative of the kind support by KNSI said the trainees will have to officiate 30 bouts to qualify as national referees and 50 bouts to qualify as a national judge and referee in their quest to attain AIBA status. At the seminar the trainees were furnished with skills on scoring system ranging from blows, permitted fouls, boxing commands to enforcing of Aiba rules where it best fit. One of the new Aiba rules taught and examined by Mwangi Muthoga, an Aiba qualified international referee, permits BAK boxers to be involved in professional boxing. “Amateur boxers are now permitted to box for money as long as the contest is under AIBA,”explained Muthoga, a former flyweight champion. Muthoga, who was assisted by BAK senior vice chairman Albert Matito said AIBA in the process is developing new a electronic scoring software. The process will tentatively force all federations across the world to revert to manual scoring system known as ‘ten point a must’.